Hi all. I’m just starting a project and looking for a bit of initial help (very basic stuff). I’m completely unfamiliar with headsets outside of MTB / trials and want to start this build with a fresh headset - can anyone assist with what I should be looking for and also how the cups are placed into the frame? Secondly I’d like to fit a nice dropped and low quill stem, this bike previously had a bulky steerer adapter with a modern stem fitted to that. Again I’m completely unsure on what to be looking for here. I’m able to get measurements, any help whatsoever is appreciated! Note you’ll need old style handlebars to fit these stems rather than modern oversize ones. But other than that, you’re good to go. Am I right in thinking the top cup is pressed into the frame and bottom is threaded? Where as the one you have linked appears to be the reverse of that? No, not quite. A threaded headset is the same as a non threaded one in that the crown race and the races in the head tube are pressed in. Where it varies is that the adjustable race (at the top) is screwed on followed by a lock nut. This leaves a hole down the middle where the quill stem goes. 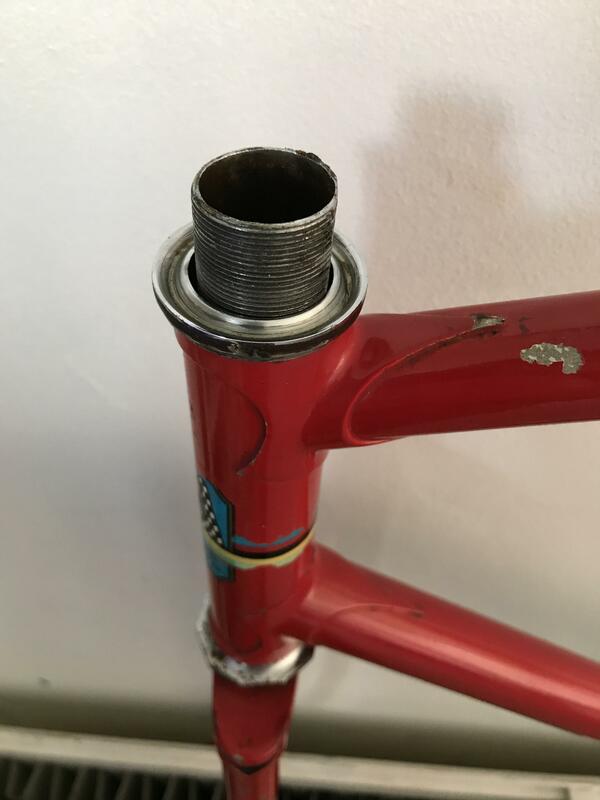 If you remove the fork from the frame (if you haven’t done it already), you’ll see that only the top 2-3 inches of the steerer tube is threaded (to accept the adjustable race). Removed the headset entirely now, should've really done that initially and saved the explanation! BB is being very stubborn, even with some leverage. That may be a LBS job. I'm now on the hunt for parts for the entire build. I'll make a separate post about this. 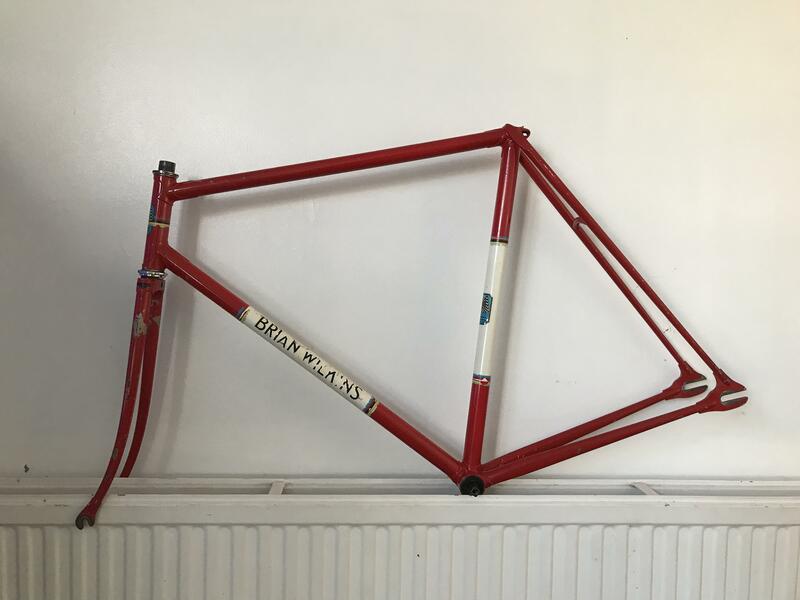 BBs on an old frame are usually a pain, esp if it hasn’t been touched for many years and requires tools that are hard to find. What kind of build are you looking to do? Track? Road fixie? Or grass track racer maybe? I've got a bb tool but without any odd bolts to clamp the tool it's just slipping under pressure. Anyway, that's no concern for now i'll get it sorted. Build wise, I'm just looking for casual road use. Would like to keep the build more in keeping with the frame, I've ran modern spec and a zipp front wheel until this strip down and it's never looked right. Managed to get the BB out. I'll keep this thread open and change it if more questions arise.